Tory MPP Randy Hillier is the Rob Ford of rural Ontario. He often makes headlines for all the wrong reasons. His hatred of unions seems to be trumping common sense these days. 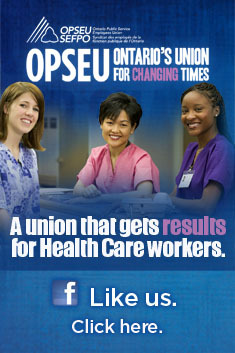 Hillier recently wrote an editorial in the local media aligning his views with those of Health Minister Deb Matthews. Whereas most MPPs would stand up for their local hospital, Hillier is supporting deep cuts to the Perth and Smiths Falls District Hospital most likely because it is the local unions that are raising the alarm. It will be interesting to see how this plays out with an election likely on the horizon for 2013. Hillier has bought Matthew’s inaccurate assertion that hospital cuts simply represent a transfer of services to community-based providers. We see Matthews’ interest is saving her own skin amid the obvious effects of austerity on Ontario’s health care system, but what’s in it for Hillier? Perhaps Hillier should have a conversation with his own caucus members. Last year fellow Tory MPP John O’Toole characterized the government’s “Home First” initiative as the “Home Alone” initiative during a visit by the Ontario Health Coalition. Have they had a last-minute conversion to the Liberal cause?